The Taking Sides Collection on McGraw-Hill Create® includes current controversial issues in a debate-style format designed to stimulate student interest and develop critical thinking skills. This Collection contains a multitude of current and classic issues to enhance and customize your course. You can browse the entire Taking Sides Collection on Create or you can search by topic, author, or keywords. Each Taking Sides issue is thoughtfully framed with Learning Outcomes, an Issue Summary, an Introduction, and an “Exploring the Issue” section featuring Critical Thinking and Reflection, Is There Common Ground?, Additional Resources, and Internet References. Go to the Taking Sides Collection on McGraw-Hill Create® at www.mcgrawhillcreate.com/takingsides and click on “Explore this Collection” to browse the entire Collection. 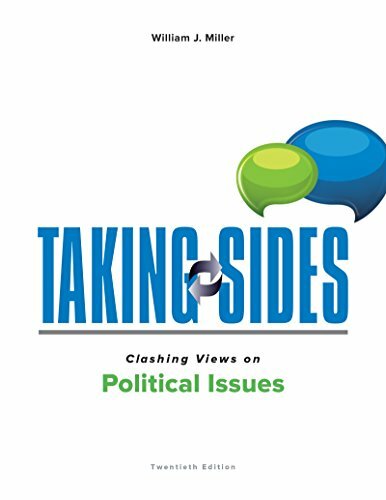 Select individual Taking Sides issues to enhance your course, or access and select the entire Miller: Taking Sides: Clashing Views on Political Issues, 20/e book here http://create.mheducation.com/createonline/index.html#qlink=search%2Ftext%3Disbn:125988323Xfor an easy, pre-built teaching resource. Visit http://create.mheducation.com for more information on other McGraw-Hill titles and special collections.